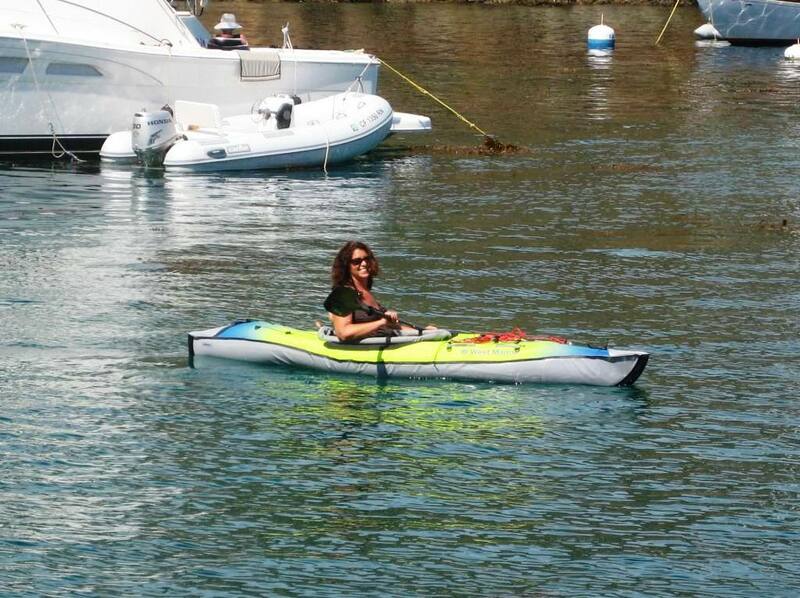 Last week when we were in Redondo Beach, we stopped by West Marine and found new Kayaks. They are inflatable and work great. Lori has been paddling around the cove, which is marine reserve. Lori reports seeing lots of marine life and making friends with a Sea Lion. Things around here are getting a little crowded as Buccaneer Day Weekend approaches. Over the last two days, several hundred boats showed up with more to come. Things on boats get a little boring at times and we find fun in other people’s goof-offs. Those of us tied safely to our moorings got some great entertainment watching the new guys trying to get on their mooring balls with following winds. New boats were spinning in circles, running over mooring lines and several people ended up in the water. One of the other things that comes with Buccaneer Days is cannon fire. There must be 30 boats with black powder canons and they are shooting regularly with lots of smoke and noise. Last night some of the crews from other Baja Ha-Ha boats around the Harbor visited Camelot. Crews from S/V Andiamo III (Eugene & Tami), S/V Double Dharma (Dale & Deena) and S/V Emerald Star (Miles & Wavey) came over and were treated to Lori’s home-made bread, Caponata and drinks. If these guys and gals are representative of the other Ha-Ha boats, we are in for a great time. Nice meeting you guys. Tom & Lori – Sounds like things are going well for you guys. Thanks for the hit on your blog. I should have suggested Cherry Cove to you rather than the isthmus. More protection from the prevailing wind that blows through the venturi. Are you planning to visit Newport? Let me know and I’ll see if I can hook you up at Balboa Yacht Club. Oh Lori! You look great in your new kayak! You are starting to look like you are relaxing.